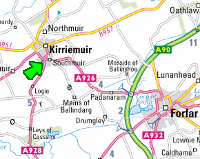 Kirriemuir Briquette Company are suppliers of eco-friendly firewood briquettes. 100% renewable energy manufactured from dried compressed waste from our workshop, and other sources. 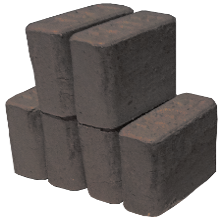 Briquettes are environmentally friendly and emit less than half the legal stipulated emissions. 1 See more on our About page. 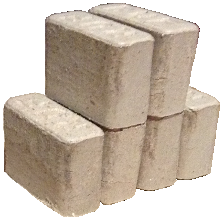 2 Our wood briquettes are produced from Class A1 and A2 wood by-products. 3 Wood ash ranges from 0.1 to 1.8% and is influenced by temperature and other factors - read more on our About page. 4 Find out why here.